The Newberg High School theater department will unveil its winter play this week with the comedy "George Washington Slept Here." The play will be will start at 7 p.m. Thursday through Saturday and then again Feb. 14-16. All shows are in Drea Fergusion Auditorium at the high school. Tickets are $6 for students and seniors, and $8 for the general public. "George Washington Slept Here" is a 1940 play by Moss Hart and George S. Kaufman. It was adapted into a 1942 comedy film by Warner Bros. and was once nominated for an Academy Award for best art direction. The play is about a family that moves to a colonial farmhouse in the country of Bucks County, Penn., with the husband looking to fulfil his dream of fixing the home and homestead. After a series of struggles – the wife Annabelle finds life in the country impossible, a local caretaker isn't around – the family makes a home of the dilapidated building. The film reversed the roles of the husband and wife characters. And in both, the two make an unpleasant surprise that it was a different figure in American history, and not George Washington, who once slept in the house. 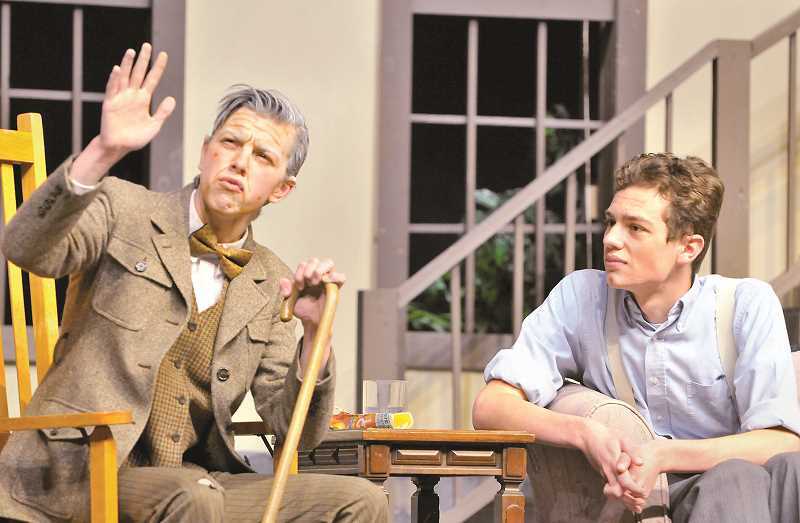 NHS theater director Michael McConaughey said audiences can expect to see a "feel good classic comedy where it's like a sitcom of the olden days. It's just fun and people get themselves in predicaments and try to get out of them," he said. The play features two different sets of the cast, so on different nights there will be different actors. McConaughey said this is not new for the program. He also said they picked this play because of its technical difficulty and the cast and crew had fun playing with different things like lighting, sound and a fog machine to bring the play together. He added that are a couple of other technical surprises he didn't want to give away. "There are a lot of unique things we don't always get to use on stage," he said, adding that recent upgrades to the auditorium's sound system will help depict the time period for the piece. "It's set in the late 1930s and has a very rustic charm to it," he said. "Some very fun characters." While it's set in the 1930s, McConaughey said there is a universal quality about the show and the comedy that will keep the audience entertained and laughing, such as conflicts with neighbors and within families, and cases of misrepresented identities. "It makes it a lot of fun," he said. "It's very situational comedy." While the playwrights have written many well-known plays, "George Washington Slept Here" is not one of the most produced because of the technical challenges present with putting it on, McConaughey said, adding "That makes it a little more difficult on stage, (but those challenges are) what makes it fun."